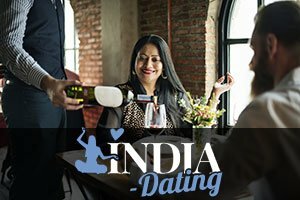 Top Dating Sites India - This Is What The Perfect Indian Husband Looks Like? The ideas of the “perfect wife” and “perfect husband” are usually pretty subjective and overall unattainable. Yet, we somehow just can’t shake those ideas off. There’s something about wanting the perfect someone for yourself, even though you know that no one is actually perfect. We all still strive to find our match that has at least some of the qualities we find necessary in order to establish a healthy long-term relationship. And that’s the closest to perfect that we can hope for. Whether you’re a man or woman, beauty and the beauty ideology are parts of the “perfect spouse” term. Indians, as all other nations, have a specific beauty ideology and a defined list of features that constitute a perfect woman and a perfect man. Apparently, no region in the world is safe from the constrictions of a defined beauty standard, no matter how much effort it puts onto expressing the importance of having a beautiful soul. Even though women have it much worse when it comes to beauty standards, men are definitely being judged by their looks as well. Beauty standards all over the world are now turning to males, and stating numerous factors that decide on whether a man is good-looking or not. But what makes a beautiful man in India? The competition for the title of Mr. World was recently held, and the winning country of 2016 is India. Rohit Khandelwal therefore might be the perfect example of a modern-day perfect potential Indian husband. The perfect Indian husband should have manly facial features. That includes a chiseled jaw, strong cheek bones, a long and straight nose, and (preferably) facial hair. The eyebrows should be natural yet groomed, and a seven-days-old beard is the perfect choice (however, it should be groomed as well). The eyes should be almond-shaped, dark and mysteriously mesmerizing, and the mouth should be slightly pouty, fleshy, and overall really kissable. Indian men put a lot of effort into their hair. The whole nation has really good, high-quality hair which is often regarded as “the best hair among all races,” and naturally they like to show-off their advantages. The perfect Indian husband should have short hair, however, most men prefer when the top of the hairstyle is as twice as long as the sides. All Indian men have black or dark brown hair, but a lot of them like to get subtle lighter highlights. As all beauty standards, this one also likes to stress out that lighter skin tones are better. Although this notion is extremely derogative, racist, and bluntly idiotic, it somehow manages to swim to the top even in countries like India, where the whole population is of color. Yet, lighter skin is still preferred when choosing a spouse and this doesn’t exclude potential husbands. Allegedly, someone cannot be perceived as the perfect Indian husband is he doesn’t have a light brown/golden skin tone. For thousands of years, Indians have regarded the torso to be the most attractive part of the male body. Therefore, the perfect Indian husband should have a chiseled, muscular (but not too muscular) torso, with strong, defined, sculpted arms and legs, preferably without a lot of body hair. Old Indian folklore often spoke of the perfect “bull-like” torso ideology, in which the perfect man’s torso looks like a bull’s head.